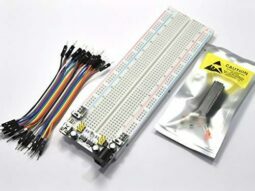 NEW and advanced design, the all new Bread Board Buddy V2 development board DIY kit (needs soldering/assembling). 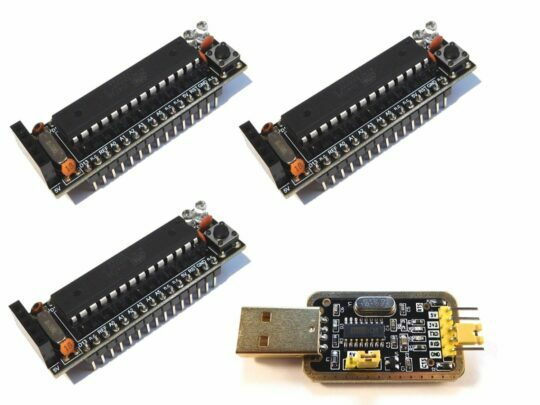 This is a set of 3 of our bread board development modules, together with an USB programming adapter with CH340G chip. 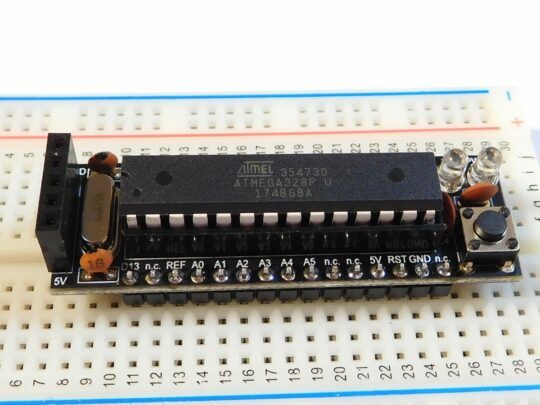 Bread Board Buddy V2 has the same pinout as an Arduino Nano, but comes with an Atmega328P-PU (Arduino UNO processor). 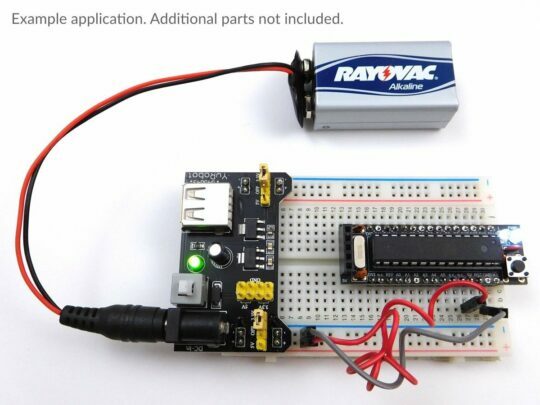 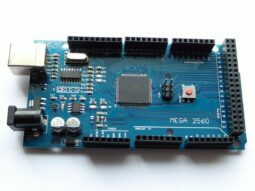 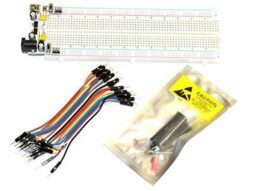 These modules are your 1st choice when it comes to developing your projects on a bread board. 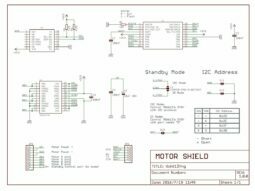 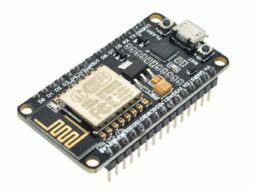 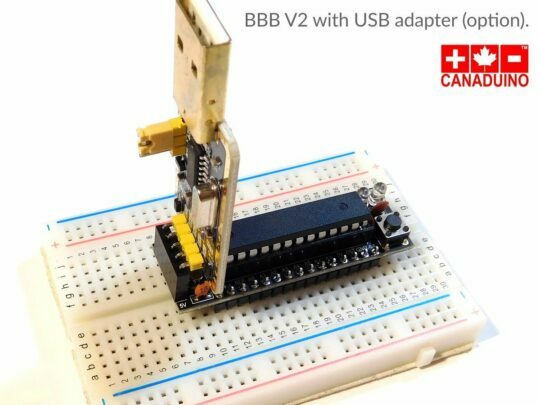 BBB V2 saves you a lot of bread board space, and development time. 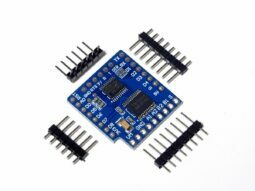 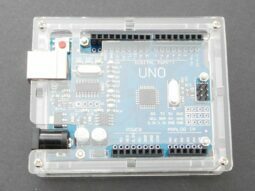 When you are done developing, just take the chip out and move it over to your Arduino UNO board, or any other application. 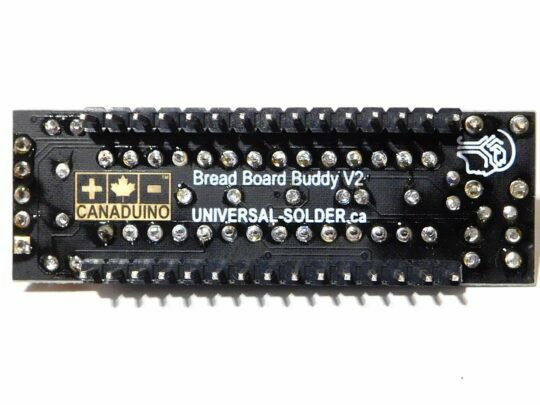 CANADUINO Bread Board Buddy V2 has the typical 2 LEDs for power and D13, and the reset button on board. 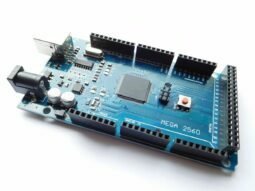 The Atmel MCU is already programmed with boot loader and “blink” sketch. 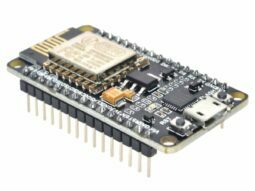 NEW with V2 is the power LED, and a 5-pin header to connect the optional USB adapter for easy programming, or to establish a serial RX/TX connection to any other peripheral device.